I have a problem. I am nearly incapable of resisting DVDs for sale under $5. I should have learned my lesson after The Fan and Highlander, but I didn’t. Every now and then I will find a great movie for that cheap, but most of the time the value of the film is closely related to the price charged. This weekend we got a few used dvds for $1.99 each. 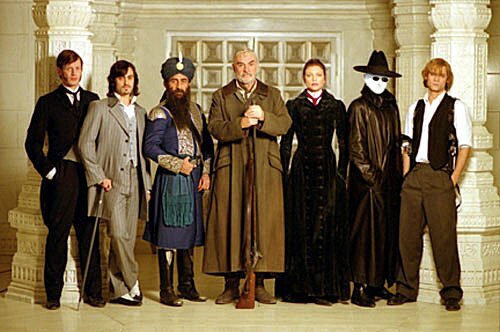 I know we got a winner in The Dark Knight, but I also knew that with the League of Extraordinary Gentlemen, I was getting only action and kitsch – and I was okay with that. I don’t feel like recounting the plot of this film, which you can read here if you so desire. I will summarize it by saying, there are a lot of action scenes involving Victorian Era fictional characters. I think it was a great story idea, but the writing and execution of the film did not rise to the challenge. I still enjoy the film, because I like people shooting things, stuff blowing up, Sean Connery, and the idea of bringing familiar literary characters into the mix. I have never read Dracula, The Invisible Man, or King Solomon’s Mines, so I’m not sure where the film took liberty with Mina Harker, the invisible man, or Allan Quatermain. It has been years since I’ve read 20,000 Leagues Under the Sea, so I don’t really know if I like the depiction of Captain Nemo either. I have, however, read The Strange Case of Dr. Jekyll and Mr. Hyde and The Picture of Dorian Gray. Upon a fresh viewing of this film, I was greatly disappointed by the way both Jekyll/Hyde and Dorian Gray were portrayed. These novels/novellas deal with the human condition. Both works explore the human struggle with depravity. Dorian Gray exhibits the danger of hubris and hedonism. In the film, he is unable to look at his portrait or it will kill him. In the book, he can look at the portrait, but he does not desire to. He does not want to see how wretched he has become. The film used his portrait as a kitschy immunity charm, but it was something far darker. I was frustrated with the depiction of Jekyll/Hyde. 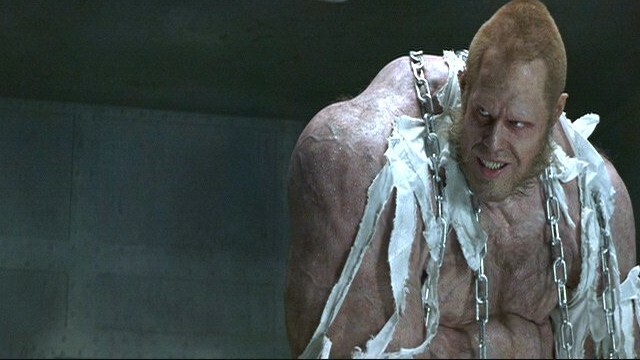 It showed a little bit of the struggle between good and evil in the film, but in the end Hyde is shown to be sort of noble and capable of good. This does not square with the book. I think ole Robert Louis Stevenson would not be too pleased with this literary license. I think both of these books hit at something we all know – humanity is dark. Anyone who is honest enough to examine his life will see wrong motives and actions. I believe these books were so successful, because they give literary analogies to a truth we all know. Both of these books led to one singular conclusion: The wages of sin is death. So, although this film was called the League of Extraordinary Gentlemen, Gray and Hyde represent something quite ordinary.